Imagine a year spent in the coldest city in Europe, where temperatures reach -24C in winter and the snow falls for up to 7 months of the year. It is the home of more heavy metal rock bands than anywhere in the world and, more importantly, where they have more saunas than cars. 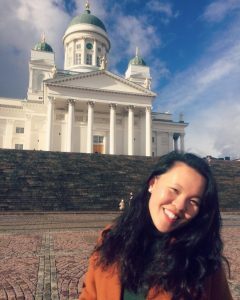 Helsinki, Finland is certainly a unique area, so far removed from anything in England but infinitely more alluring. 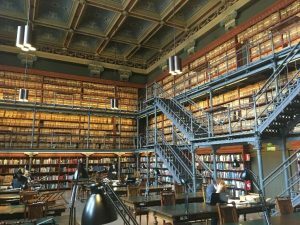 It boasts some of the best educational systems in the entire world and its establishments, The University of Helsinki, and the Sibelius Academy where I was enrolled, were no exception. It also provided the perfect gateway to explore the other Nordic, Scandinavian and Baltic countries. So my year also saw me in St Petersburg, Estonia, Norway, Sweden, Denmark, Latvia and even Austria and China. 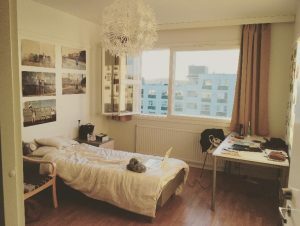 I was in a student apartment (€417p/m) shared with two lovely girls from Germany and France. In true Finnish style, the apartment was huge, the windows were ginormous and the furnishings were incredibly stylish: ‘to keep you comfortable in the long Finnish winters,’ a true Finn would tell you. It also helped that we were on the top floor so we could see the city in all weathers. The weather warrants its own attention as Finland is said to be a country of four seasons. When I first arrived, it was beautiful and warm as the temperature can climb to about 25C. 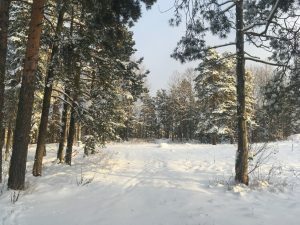 The first snow fell in November and I did not see the ground until May. 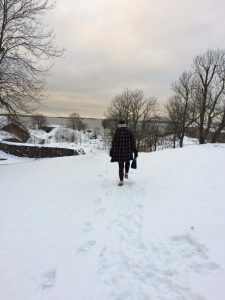 During those seven months, daylight was as low as 4 hours in the day, January saw temperatures go as low as -24C and it was the most snow I had ever seen. But this is where you see the country at its most beautiful. You never have to walk very far in Helsinki to be close to nature, it is an integral part of their culture. 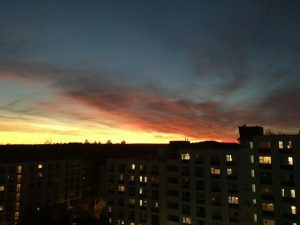 In contrast, during the spring and summer the days grew so long that it stopped getting dark at all. 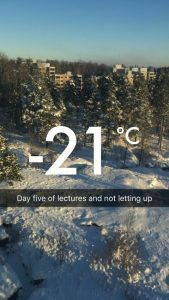 These pictures of the weather are taken at the doorstep of my student flat as I was surrounded by a forest but only a four-minute walk from the train station that took you to the city centre in 10 minutes. This city itself is an exquisite place, incredibly peaceful yet it still has the vibrancy of a capital city. As the population is so few, the areas were always very open and clean, the air was always crisp and the architecture was certainly something to be admired. The University was situated in various buildings within the city and in close proximity, especially if you were in the faculty of arts as I was. 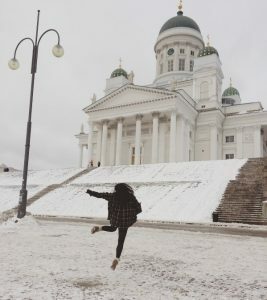 The music department was right next to The National Library of Finland and facing the prestigious Senate Square, housing the University main building, facing the beautiful harbour side and where the iconic Helsinki Cathedral stands. As for my studies, I took my piano lessons at The Sibelius Academy with a teacher specifically chosen for me by the head of music at Helsinki University. We were matched in terms of interest in repertoire, and also as another specialist who could help me with the dissertation project I conducted during my time there. With my modules, I had a mix of music modules including harmony analysis and ethnomusicology but I could also take additional subjects as diverse as Chinese painting, semiotic methods and various philosophical studies. As the University is so well regarded and highly ranked, the teaching was outstanding and the resources and assessment levels were unsurpassable. The Head of Music at the University also become my personal tutor and a friend in many ways. This presented a number of exciting opportunities with memories that I will cherish forever. I was invited to watch my very first PhD vivas where potential doctorates defend their research and papers. As a tradition in the University, successful doctorates are presented with a handmade bowler hat and a real sword which was a truly unique spectacle. Helsinki is an incredibly cultural city and there were many (often free) concerts to watch. The Helsinki Philharmonic orchestra is world renowned and I often watched them perform in the same venue I took my piano lessons. It was in the same music centre where I was invited to the Ligeti Symposium, a lecture and concert series dedicated to the composer György Ligeti. Not only was my piano teacher one of the performers at the symposium but so was Lukas Ligeti, the son of György. I also watched several performances in the infamous Temppeliaukio Church, a church created and housed inside a single mound of rock and it was here that I met and spoke to Her Royal Highness Princess Benedikte of Denmark during a concert given by a choir she is patron of. 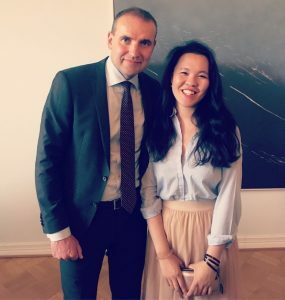 One of my personal highlights was meeting and performing for the President of Iceland and the ambassador of Iceland in Helsinki; I was even invited to visit the presidential house in Reykjavik one day. Despite the amazing musical experience I shared in Helsinki, the most special moments are those shared with the people I met there. 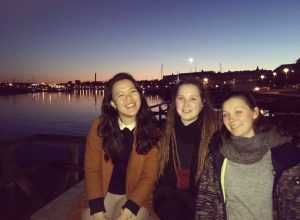 I have a very special bond with the girls I lived with; we were a family in Helsinki and I have truly made lifelong friends. I also have incredible memories with other Erasmus students too. I can really say that I have friends all across the world, from Lapland to New Zealand. 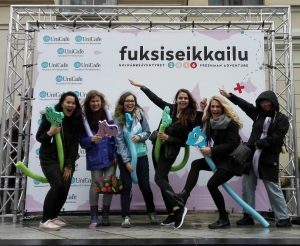 The Finnish are known for being shy and reserved but I experienced nothing but warmth and kindness. The student body are a lively and formidable class of students and my lecturers were absolute leaders in their field. The Head of Music often opened his home to me, and his wife and children embraced me as a member of their family. I even spent Finnish Independence Day at their home for dinner and a casual concert. 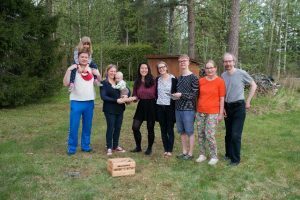 My last week in Finland saw them throw me a small leaving party with a traditional Finnish dinner and a game of Mölkky, a traditional outdoor activity. 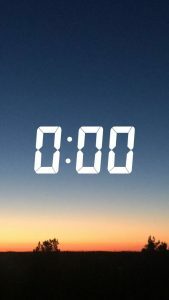 I remember shedding so many tears at the airport in England, saying goodbye to friends and family as I left to start my year in a country I had never been to before. 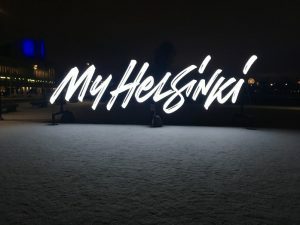 Then I remember crying even more when I said goodbye to the wonderful city, the friends and family I was leaving behind in Helsinki after what has been the most enjoyable year of my life so far. Those who are tempted by a year abroad should not think twice about it, I have grown in so many ways not only as a musician and student, but as an all-round individual. It is a privilege to have the freedom and opportunity to pursue an education beyond one country and even more so to be able to travel. In 2015 Jackie spent a summer internship in Hong Kong. Read about her experience.